Tournament Pack 0 comments on SCGT 2017 : Battle Plan Pack! SCGT 2017 : Battle Plan Pack! SCGT 2017 Battle Plan pack is now available! Full information for the event can be found here! The event is going to be a beast! With over 200 players attending its the largest Age of Sigmar event in the world! Link to the Battle Plan pack here! Tournament Pack 0 comments on FaceHammer GT Event Pack! 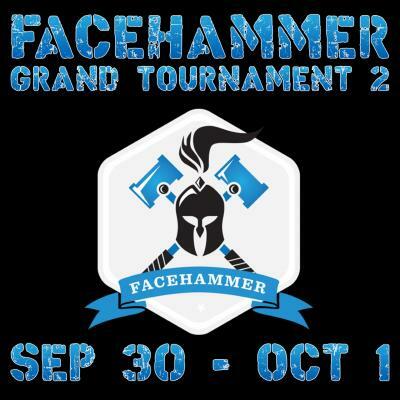 The event pack for the FaceHammer GT has been updated to 1.1 and is available for download! Link to the FAQ here! Link to the pack here! Podcast, Tournament Pack, Tournament Prep 0 comments on Minisode 15: Road to SCGT! Minisode 15: Road to SCGT! We discuss the SCGT build up! In this mini show we cover the painting hurdles leading up to the SCGT. We also discuss the painting competition and grand alliance order book and discuss how we will approach our games at SCGT. Painting, Podcast, Review, Tournament Coverage, Tournament Pack, Tournament Prep 0 comments on Archived Episodes 1-11 Pre-Age of Sigmar and 8th Edition Warhammer! Archived Episodes 1-11 Pre-Age of Sigmar and 8th Edition Warhammer! Here you can find all our shows before we moved over to Warhammer Age of Sigmar. While most of this content is no longer relevant it seemed a shame to take it offline and make it no longer available.